We’re excited to report success in receiving a grant from West Cornwall Youth Trust to pilot a brand new health and well being project at the centre. 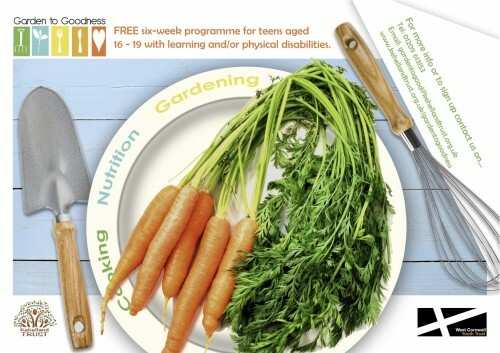 Conceived and developed by dietician and gardener Monique Hyland, the project will provide educational workshops for 16-19 year olds with moderate learning and/or physical disabilites. Participants will be encouraged to make a distinct connection between the growth of fruit and vegetables and their culinary uses whilst gaining key knowledge and understanding about nutritional health benefits. The Garden To Goodness project will be carried out over three, six week programmes. All the sessions will have a practical and interactive focus, supported by activity worksheets and journals.